Ace Algotech Solutions is a software leasing and a career advancement as the training centre to provide a consultation and service in the usage of the software for both individual or companies. With 21 years of experiences in this industry, our management team has built up a strong business network worldwide. 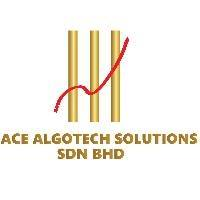 Ace Algotech Solutions consists 2 impressive business portfolio and each supplying the market with unique services. Our expertise and knowledge across several sectors gives us that added competitive advantage to deliver tangible, scalable results for individuals as well as company across world. Ace Algotech Solutions continues to build its reputation on the success of its clients and we always guaranty flexibility, understanding and security to make sure that our clients achieve their desired results with the cost effective and innovative solution. Our mission is to deliver high quality service to our customers for their knowledge, benefits and help them achieve the success, wealth economy and financial growth.